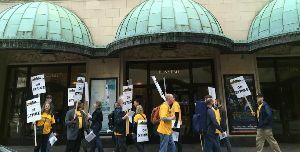 This Week’s Top AJ Stories: Does Pittsburgh Symphony Strike Settlement Solve Anything? Should Arts Funding Be Dependent On Encouraging Bad Behavior? This Week: Did settling the Pittsburgh Symphony strike just kick the can down the road?… The idea of progress is a fragile (and recent) notion… Why should this arts funding depend on encouraging bad behavior?… The art establishment is caught in an increasingly high-stakes investment battle… We celebrate reading – but has the dissemination of ideas and knowledge moved on?